Case for the sewing machine of denim jeans. ~ DIY Tutorial Ideas! 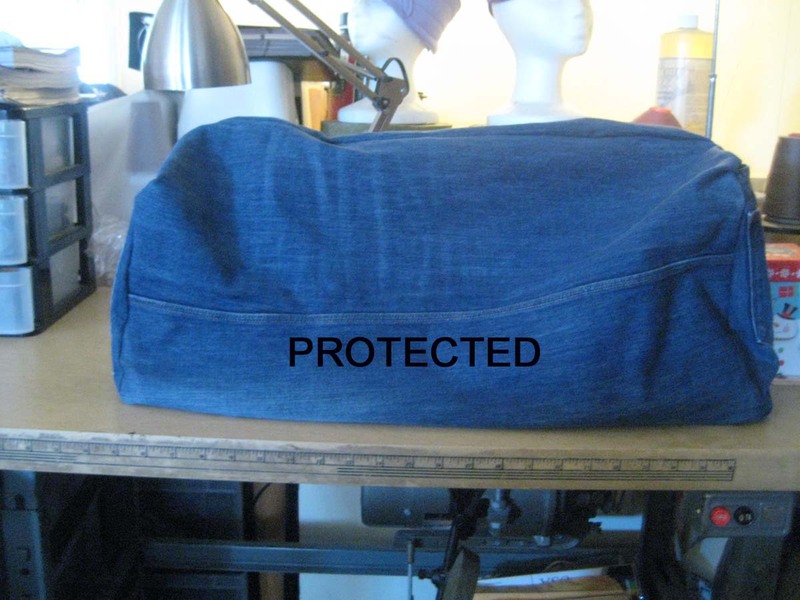 Home » Covers , Denim Jeans , Sewing » Case for the sewing machine of denim jeans. The closest fabric was in the form of these jeans. Thank God they were in a pile to be reconstructed anyway. Otherwise, I would be showing you some flowery machine cover made from a dress or a plastic one made from a shower curtain. Lol! These were given to my older son by his cousin. They were too small and he has trouble with button closures anyway so it was a perfect fit. After I measured my machine, I ascertained that I can cut the pant legs right here. I cut through the inseam of each leg and this is what I am left with. These will be the front and back of the cover. Then I cut the back part of the pants starting with the middle seam and continuing down the inseam of each side. I was left with this. These will form the sides of the cover. This is what is left of the front, I did not use this part. I then stitched the two pieces together. I also cut the seam bulk from the bottom of the pants for easier sewing. This then goes draped over the machine. I simply sewed the edge of the top and bottom parts of the pants around the edges of the back pockets to make the sides. Here you have it! My new denim sewing machine cover. Here's a side view to show you where the pockets went. Now Dan doesn't have a chance against my third child, my sewing machine! Lol.